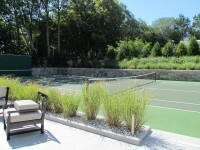 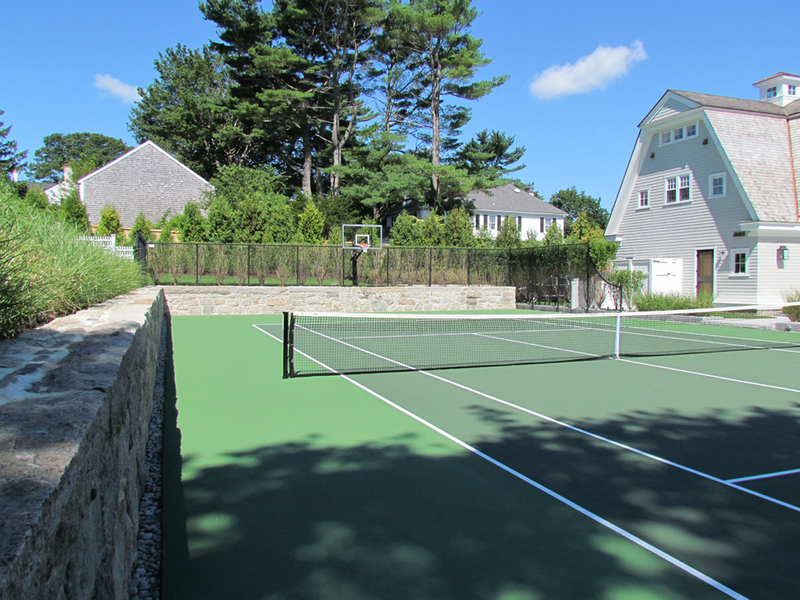 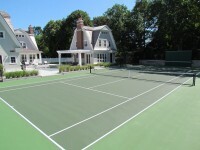 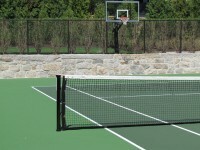 When the client began designing her new home, she knew that she wanted a low maintenance hard court in her yard with a cushioned surface. 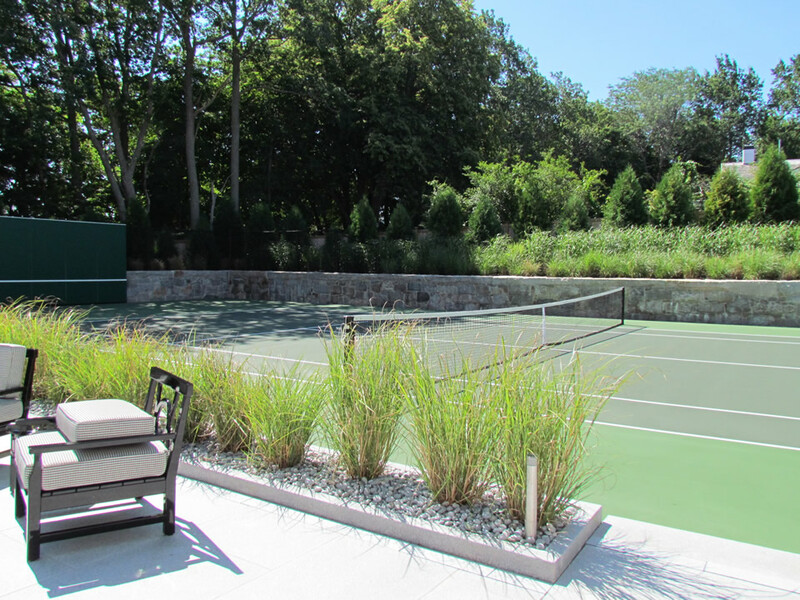 Going with post-tensioned concrete was an easy decision due to its long life and 25 year warranty against any structural cracking. 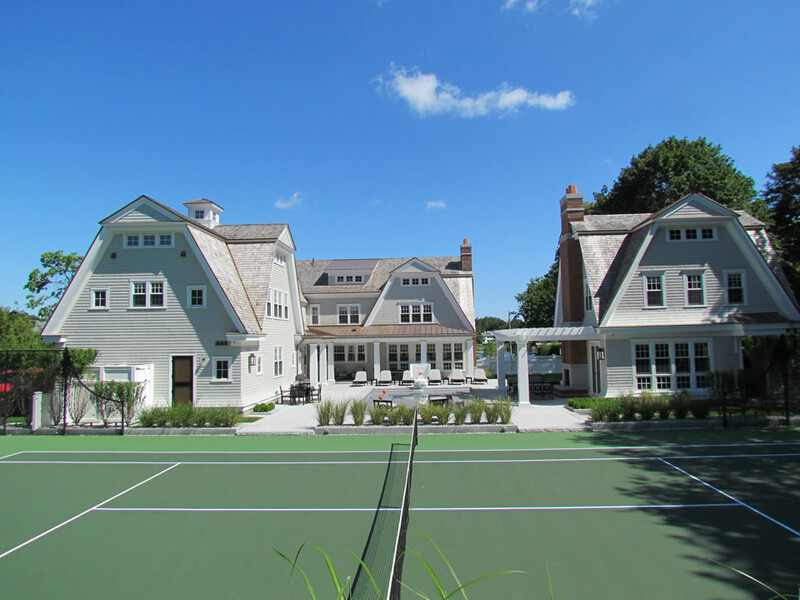 The court is located behind the house and pool, against a retaining wall, and she knew that reconstruction or repairs of an asphalt court down the road would be almost impossible due to the tough access to the site. 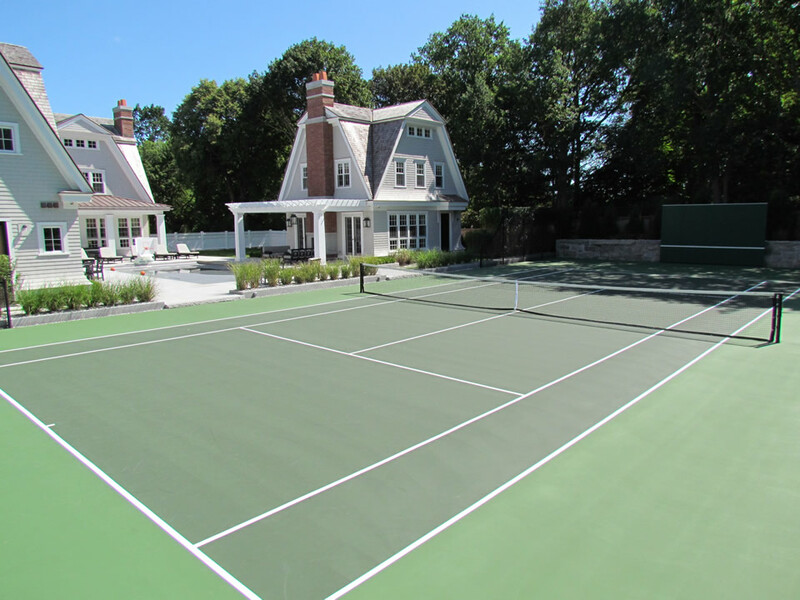 The client’s original surface choice was Plexicushion Prestige, which is a 10 coat system with rubber particles blended into the acrylic coatings. 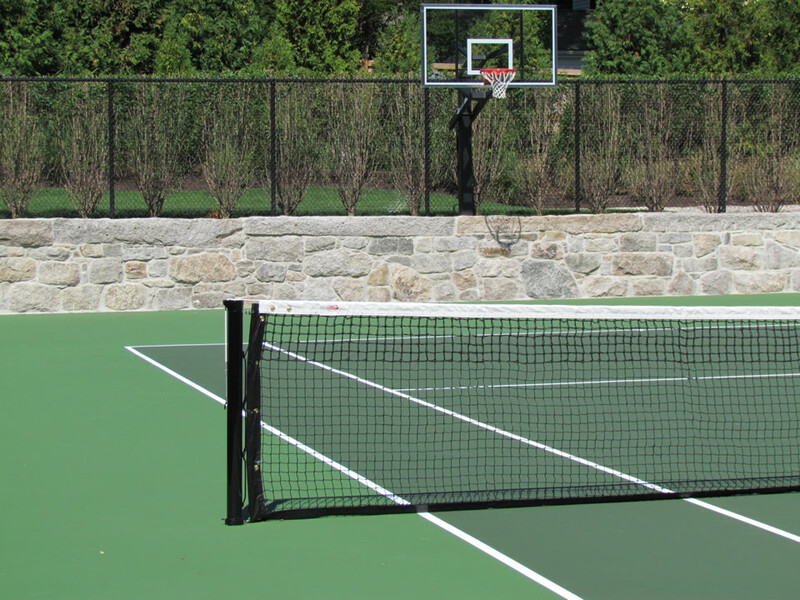 Once we showed her a sample of our proprietary urethane Tiebreaker system, she decided that the extra cushion, resiliency, and force reduction would suit her much better.